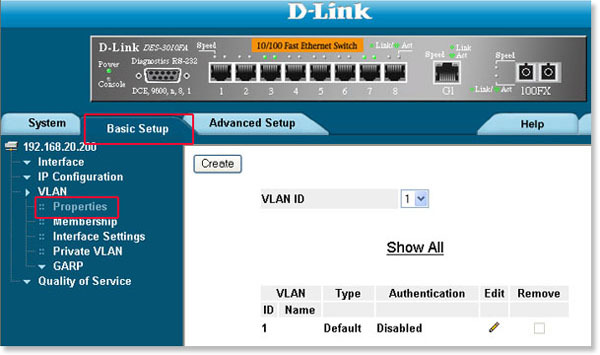 This part will clarify methods to connect Ethernet equipment for the brand new D-Link DES-1105 5-Port 10/100 Desktop Switch change and methods to mount the switch. A computer can be connected to the DES-1105 via a two-pair Category 3, 4, 5 UTP/STP Straight-Through or Crossover cable. A computer equipped with a RJ-45 10/100Mbps port can be connected to any of the five DES-1105 ports. The LED indicators for the PC connection depend on the capability of the computer’s Ethernet card. If the LED indicators are not lit after making a proper connection, check the computer’s Ethernet card, the cable, and the DES-1105’s conditions and connections. A hub (10 or 100BASE-TX) can be connected to the DES-1105 via a two-pair Category 3, 4, or 5 UTP/STP Straight-Through or Crossover cable. For 100Mbps operation a Category 5 cable must be used. 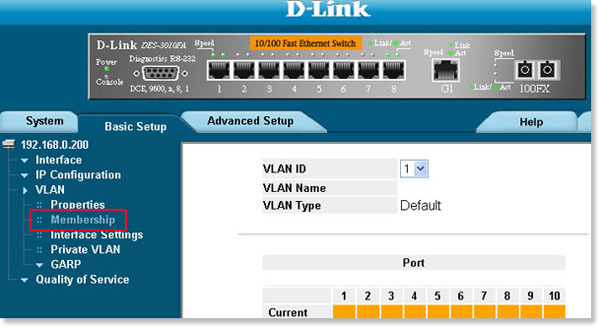 The connection is accomplished from any port of the hub to any port of the D-Link DES-1105. 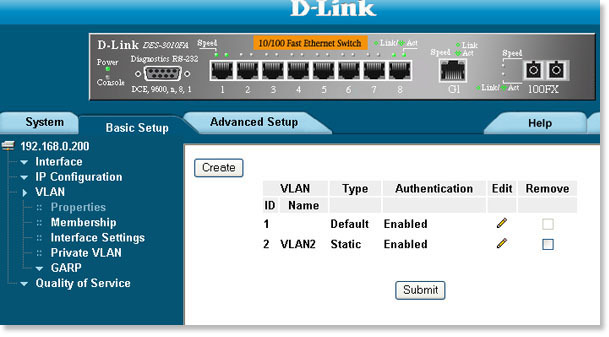 The D-Link DES-1105 can be connected to another switch or other devices (routers, bridges, etc.) via a two-pair Category 3, 4, 5 UTP/STP Straight-Through or Crossover cable. A Category 5 (or higher) cable must be used for 100Mbps operation. 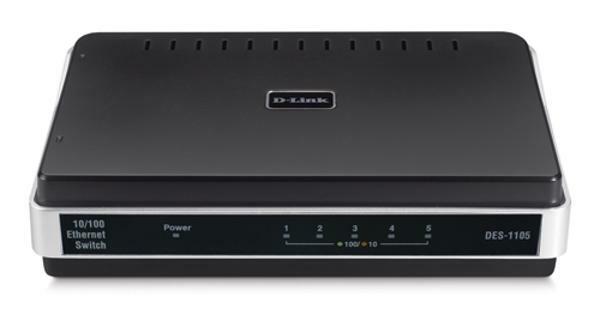 The connection can be accomplished from any (MDI-X) port on the DES-1105 to any of the 10Mbps or 100Mbps (MDI-X) ports on another switch or other devices.